What Happens After A Car Accident That Is Not Your Fault? NEW YORK – Many accident law firms get asked the same question every day: What Happens After A Car Accident That Is Not Your Fault? An accident attorney at Cellino & Barnes says it’s one of the most common questions people ask. According to a car accident lawyer, Brooklyn is one of the most dangerous boroughs for accidents. With nearly 17,000 injuries and deaths each year, the Brooklyn car accident and injury lawyers at Cellino & Barnes have examined almost every type of accident, and they’ve heard all of the tough questions – and while every situation is unique, there are several common scenarios (and steps you should take if you’ve been hit by a negligent driver). Call 911. If anyone is injured, they’re going to need immediate medical attention. It may also be important to get police on the scene to write an accident report. Gather information. With hit-and-run accidents on the rise in New York, getting a plate number can be an important step. Additionally, you’ll going to need to know the other drivers’ insurance information, a copy of their license and witness statements. Take pictures with your cell phone. These photographs can be useful evidence in many situations. 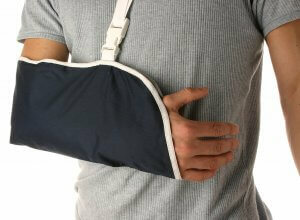 Call an experienced accident lawyer. Even before contacting your insurance company, a number of accident law firms can help you determine the steps to take that are in your best interest. The accident was NOT your fault. Even if you think you may be responsible for a crash, do NOT admit fault. The other driver may have been impaired, distracted, or there may have been a mechanical problem with either of your vehicles. Additionally, It may not be in your best interest to contact the other driver’s insurance company, especially in the days following a car accident. Some insurance companies have been known to record their calls, and ‘trap’ accident victims into saying “I’m fine” or “No, I didn’t go to the hospital yet,” and they’ll use these recordings against you to try to save them a few dollars. After any accident, you may have a lot of questions like “What Happens After A Car Accident That Is Not Your Fault?” At Cellino & Barnes, we believe getting answers should be FREE. Take the advice of an experienced car accident lawyer: Brooklyn families should follow the steps above to make sure their rights are protected when they’re in an accident that’s not their fault. If you have any questions about car accidents, insurance or the laws that protect you from negligent drivers, call our experienced Brooklyn personal injury attorneys for a FREE consultation any time – day or night. 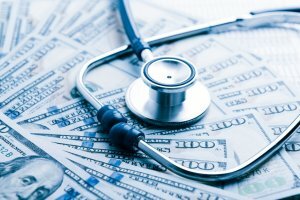 NEW YORK – If you get hurt in a car accident, one of the first questions to cross your mind could be, Who Pays For The Medical Bills In A Car Accident? It’s a question our Brooklyn injury attorneys hear a lot. The answer depends on where the accident happened. If your car accident happened in a “No Fault” state like New York, your auto insurance provider will cover a certain amount of your medical bills. If your injuries exceed this amount, or the accident happened in a Non “No Fault” state like California, your medical bills are your responsibility and may be covered (in part) by your health insurance provider. If you were injured by a negligent driver, you may be able to have the insurance companies cover most, or all of your medical bills, lost wages or pain and suffering. So, you’ve used up your “No Fault” coverage and are paying your medical bills with your health insurance while the insurance company and your lawyers hash-out a settlement. In this scenario, you may have to pay your health insurance company back. If your health insurance, Medicaid or Medicare pay any of the medical bills related to your accident, they are legally entitled to get reimbursed once a settlement or verdict has been reached in your case. This is called a lien. Our Brooklyn personal injury attorneys understand this is a lot of information to digest – with a lot of “what-if” situations. Whenever you’re working with insurance companies, things can get really complicated really fast. That’s why our legal advocates always suggest calling the Brooklyn personal injury attorneys at Cellino & Barnes. An experienced accident lawyer will go over your case with you in a FREE consultation, which can help you determine how to get the best result possible from an injury claim. If you’re in need of legal representation, or if you have any questions about personal injury law or our law firm, don’t hesitate to contact our experienced Brooklyn personal injury attorneys for FREE. NEW YORK – Each year, thousands of passengers are seriously injured in car crashes – and each of them have a long list of questions. One of the most common questions our Bronx car accident lawyers hear from passengers is, Can I Sue If I Was A Passenger In A Car Accident? If you were a passenger in a car crash, YOU CAN’T BE AT FAULT! At least one of the drivers will be liable for any injuries you’ve suffered. In almost every circumstance, passengers can file a personal injury claim and be entitled to the maximum recovery. There are several factors that must be analyzed after an accident, and our Bronx car accident lawyers strongly suggest giving an experienced legal team a call immediately following your accident. Getting an experienced Bronx car accident lawyer ensures that you will get the best result possible from any injury claim filed on your behalf. Insurance companies like to make things complicated – not only for drivers but injured passengers as well. Local laws further complicate matters, which is why we suggest giving our Bronx car accident attorneys a call; it’s not going to cost you anything to ask questions! Get Insurance Information for ALL Drivers Involved – as a passenger, this information is critical. In some cases, more than one driver can be responsible for your injuries. No-Fault States – some states, like New York, require an injured passenger would need to file a Personal Injury Protection (PIP) or No-Fault claim. Liability Disagreements – although many passenger injury claims may seem like open-and-shut cases, the insurance companies often squabble over liability, which can delay a passenger’s settlement. Liability determines who’s insurance company is responsible for ponying-up any injury costs. Multiple Passenger Claims – When multiple passengers are injured by a negligent driver, ALL of their claims must be settled within the driver’s insurance coverage limit. 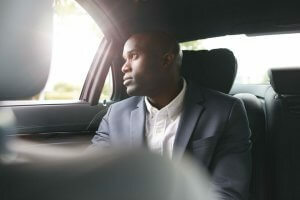 This amount varies, but if the driver has a low-cost insurance policy, it may mean that every injured passenger has to split the amount of coverage. This gets complicated even further when there are disagreements about how that limit should be split. 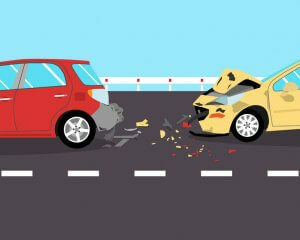 A car accident can be a complicated mess, which is why we always suggest calling a Bronx car accident lawyer for FREE. They can file a claim on your behalf and keep you informed of the status of that claim while you focus on your recovery. If you have any questions about car accidents, injuries, insurance, or the legal system, call a Bronx car accident attorney at Cellino & Barnes for a FREE case evaluation. ROCHESTER, N.Y. – There are countless questions accident victims have on their minds when they’re injured, but as the medical bills and lost time at work keep adding up, there’s one question everyone wants our Rochester car accident attorneys to answer: How Long Does It Take To Get A Settlement? Like most questions our Rochester car accident lawyers hear, this can be tough to answer – especially if your case is in the early stages. It’s nearly impossible to determine a time-frame for a personal injury settlement. Some cases settle in just a few months while other cases can take years, and even go trial. Although many injured accident victims are eager to close their case as quickly as possible, the Rochester car accident lawyers at Cellino & Barnes have discovered that spending a little extra time on a case can make a huge difference. Insurance Companies. Some insurers are just hard to work with. They’re all required by law to meet certain deadlines, but some insurance companies take their time to respond. all of this information to help you get the best result possible from your claim. Civil Claims Process. 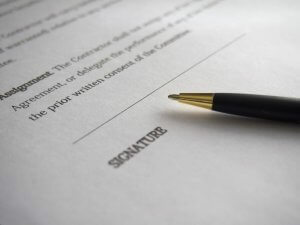 Even if it’s a fair value, insurance companies often don’t accept the first settlement offer. This forces the injured party and their legal counsel to file a lawsuit, which involves a discovery period. While lawsuits sometimes end up in front of a jury, our Rochester car accident lawyers are always negotiating with the insurance company out-of-court during this time. Taking Time Improves The Case Value. This often means more compensation for the accident victim(s) and/or their family. More Information. When it comes to personal injury cases, information is king. A quick settlement may sound nice, but it can often leave you in a bad position months or years down the road when your injury still hasn’t healed, and the medical bills keep coming in the mail. Promote Change. In some very unique cases, an accident can highlight major flaws in our government legal system, safety standards, and in our society. Settling these cases too quickly is like sweeping the dust under the rug – the problem is still there, and it’s bound to hurt someone else in the future. If you have any questions about filing a personal injury claim, call our Rochester car accident lawyers for a FREE consultation. We’d be happy to take a look at your unique situation anytime – our Rochester accident and injury lawyers are available to help 24/7 to help accident victims get answers to their questions, and the best result possible from an injury claim. What Can You Claim After A Car Accident? If you’ve been injured in a car accident, you can receive compensation for compensatory damages and general damages. If the other driver was overtly careless (a DWI, for example), an injured car accident victim may also be able to get Punitive Damages, which are meant to punish the person responsible for your injuries. There are a number of ways you can receive compensation after a car accident, but there are deadlines that must be met and procedures that must be followed. With an experienced New York car accident lawyer on your side, you’re making sure you’re going to get the best result possible from your claim. Insurance companies know that when an accident victim contacts Cellino & Barnes, the value of that case rises four-times on average. If you have any questions like “What Can You Claim After A Car Accident?” Do not hesitate to call an experienced New York car accident lawyer at Cellino & Barnes for a FREE consultation. What Should I Settle For In A Car Accident? NEW YORK – You are a good person, trapped in a bad situation. As New York personal injury lawyers, we see this scenario all the time; and one of the most common questions we hear is: What Should I Settle For In A Car Accident? Unfortunately, that bad situation can quickly get out of hand without the right help on your side. The insurance industry has made the claims process so convoluted that it’s nearly impossible for the average person to understand. In some cases, they’ve even used ethically questionable techniques to gain an upper-hand on accident victims, who are just trying to get what’s fair. Even before you start negotiating a settlement, gather all the information you can get about your accident. Where did it occur? Who’s at fault? Do you have an accident report? Did you get medical attention? Answering these questions and others will help you get the best result possible. It will also help you calculate a reasonable amount of compensation owed to you. Get Immediate Medical Attention. NO IFS ANDS OR BUTS ABOUT IT. Not seeking medical treatments and failing to follow-up with your doctor tells the insurance adjuster that you’re not really injured. If you really were hurt in an accident (even if it’s minor), see a doctor right away and document everything. Get Your Information Together. Take pictures of the crash scene. Get statements from witnesses and other the driver(s) involved. WRITE IT DOWN. Grab a copy of the accident report, too! NEVER EVER Speak To An Adjuster. Why is the at-fault party’s insurance company calling you? They’re checking up on you, and writing things like this: “Well, they didn’t seem injured when I talked to them,” or “They told me they didn’t get medical attention, so the injury must be minor.” They have the whole conversation recorded. Get Legal Representation. Although anyone can file a claim, insurance is so complicated now that you might need a law degree to understand it. 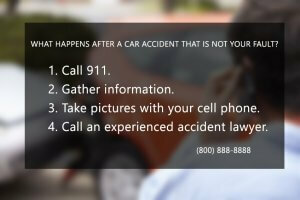 Your first call after an accident should be for medical attention. Your second call should have you dialing a phone number of an experienced, local legal team. At Cellino & Barnes, a New York personal injury lawyer will walk you through your case from day one, and help you achieve the best result possible. Our team approach has been successful in all 50 states, and we’ve helped our clients obtain over $2 Billion in settlements and verdicts. If you have any questions about the claims process, or if you want to file an accident claim, call us! The call is FREE – and our experienced New York personal injury attorneys are happy to help.